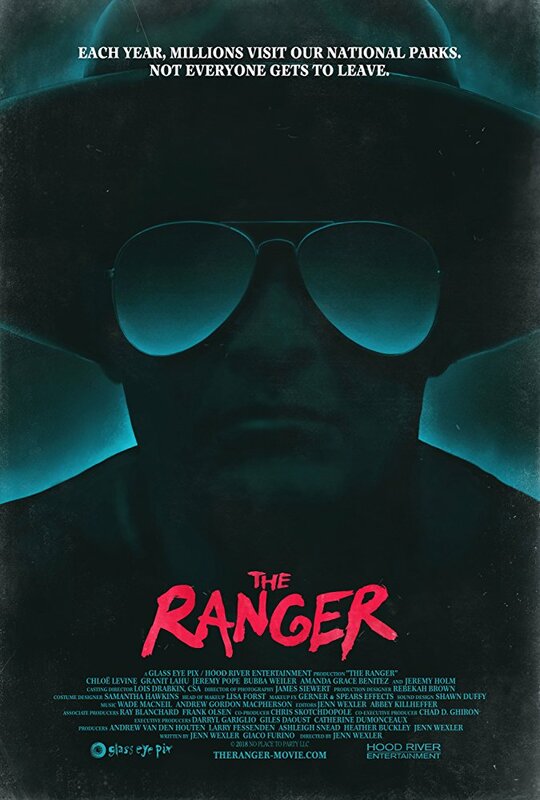 The Ranger, a feature film directed by Jenn Wexler, is set to appear at the Boston Underground Film Festival. The epitaph for punk’s alleged death has been declared, yet its legacy echoes through new generations of misfits channeling angst into art. Jenn Wexler’s rambunctious debut harnesses that essence, a portrayal of desperate outsiders who must escape when their safe space is torn asunder. In this case, a pack of punks on the lam find themselves deep in the woods where an unforgiving authority figure lurks. After a police raid at a punk club leaves an officer dead, Chelsea and her friends flee the city for her family cabin secluded in a national park. Hazy flashbacks reveal Chelsea’s history mired in tragedy, the accidental death of her outdoorsman Uncle Pete (Larry Fessenden), and the zealous forest ranger (Jeremy Holm) who took her under his wing. The past returns in the familiar form of a ruthless by-the-book public servant who resorts to diabolical measures to protect the forest. Ahead of BUFF, we had the opportunity to speak with director Jenn Wexler about the film. JW: Yes! I wanted to be a filmmaker since I was a kid. I went to school at the University of the Arts in Philly where I studied Writing for Film & TV. My co-writer Giaco Furino wrote the first draft of THE RANGER when we were in school together, and I was always in love with the concept. A few years later I started directing short films, but I really learned about filmmaking working under Peter Phok and Larry Fessenden at Glass Eye Pix. JW: My family has always been very supportive. I didn’t know anyone at first when I moved to LA out of college--it was just myself and my two best friends, jobless, all in a one-bedroom on Hollywood Boulevard—but I started to meet people there and soon enough started a marketing position at a horror TV channel, FEARnet. Funny enough, I didn’t really start working in production until I moved out of Los Angeles and to New York City. TMS: What’s up with The Ranger? Besides BUFF, where can people see it? And what do you want them to know about the movie? JW: THE RANGER is hitting the road! After BUFF it will be playing WTF?! Fest in New York City, Chattanooga Film Festival, and Cinedelphia Film Festival. And we have a few more things lined up I can’t share just yet! TMS: What made you want to make this film? What was the inspiration behind this story? JW: I grew up in the suburbs of New Jersey, found horror movies at about 10 years old, and became obsessed. My family moved towns when I was in middle school, and I had trouble making new friends. Instead I poured myself into horror and local punks shows; they helped me get through adolescence. 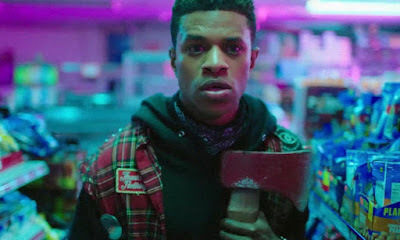 THE RANGER’s the movie I wanted to see when I was young— a mix of bloodshed, music, and candy colors, featuring a female lead who’s trying to figure herself out in a world where people keep telling her who to be. JW: The shoot was 18 days, plus some pick-ups for explosions and stuff. TMS: How were the main actors selected? JW: Giaco and I had Jeremy Holm in mind for The Ranger as we were writing the script, watching him on Mr Robot and House of Cards and dreaming of the day when we’d be ready to share the script with him! We were elated when that day finally came and he wanted to do the film. I met Chloe Levine at SXSW 2017 when I saw her in THE TRANSFIGURATION; we had a meeting and I knew straight away she was Chelsea. We worked with casting director Lois Drabkin who introduced me to Granit Lahu, Jeremy Pope, and Bubba Weiler for the roles of Garth, Jerk and Abe, respectively. Amanda Grace Benitez was in producer Andrew van den Houten’s ALL CHEERLEADERS DIE, and when Andrew suggested her for the role of Amber I lept at the opportunity to work with her. And Larry of course I always dreamt of for Chelsea's uncle! He’s emotionally kind of all of our uncle. TMS: Was there any rehearsals prior to the shoot? Did you adjust any of the script after the actors were there? JW: I did a read-through of the script with the punks, and then a separate read-through just with Chloe and Jeremy. I wanted to keep Jeremy away from the rest of the cast as much as possible during rehearsals. TMS: The film is reminiscent of various films from the '80s. What made you choose that style and were there any specific films that influenced the style? JW: I’m really into kids-in-the-woods movies like Evil Dead, and also the outrageousness and irreverence of punk movies like Class of 1984 and Repo Man. The characters of The Ranger are larger-than-life, so stylistically, I liked the idea of an EC Comics style universe like Creepshow. But I also really wanted to explore the interior life of the lead female character, as she tries to figure herself out amidst the colorfulness and chaos of the other characters. So for that I was inspired by films like Smithereens, Ladies and Gentlemen the Fabulous Stains, and (not 80s, but 90s) Buffy The Vampire Slayer (the series). TMS: Do you plan on making more films in this genre? JW: Absolutely. I want everything I work on to have a genre element. TMS: Are are there any people or films that you’re looking forward to seeing at BUFF? JW: Very excited to see Tigers Are Not Afraid and Revenge! 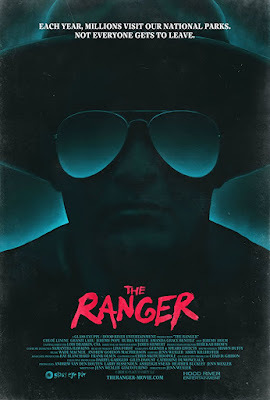 You can read our review of The Ranger here.